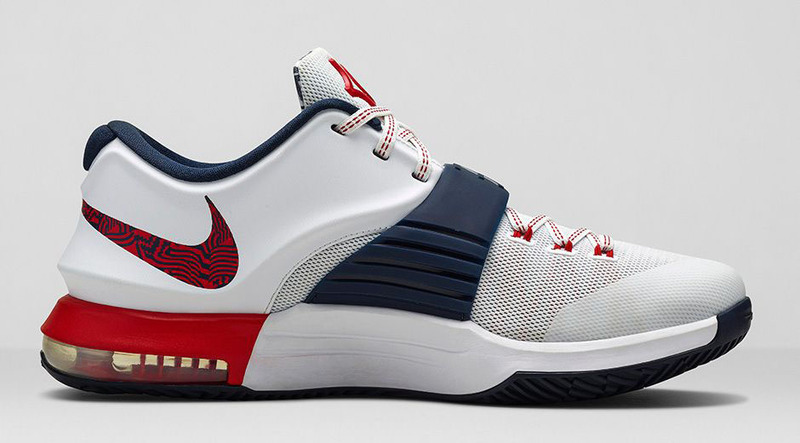 Following today’s official unveiling, Nike will get the KD 7 run started with the Independence Day-inspired ‘July 4th’ colorway. 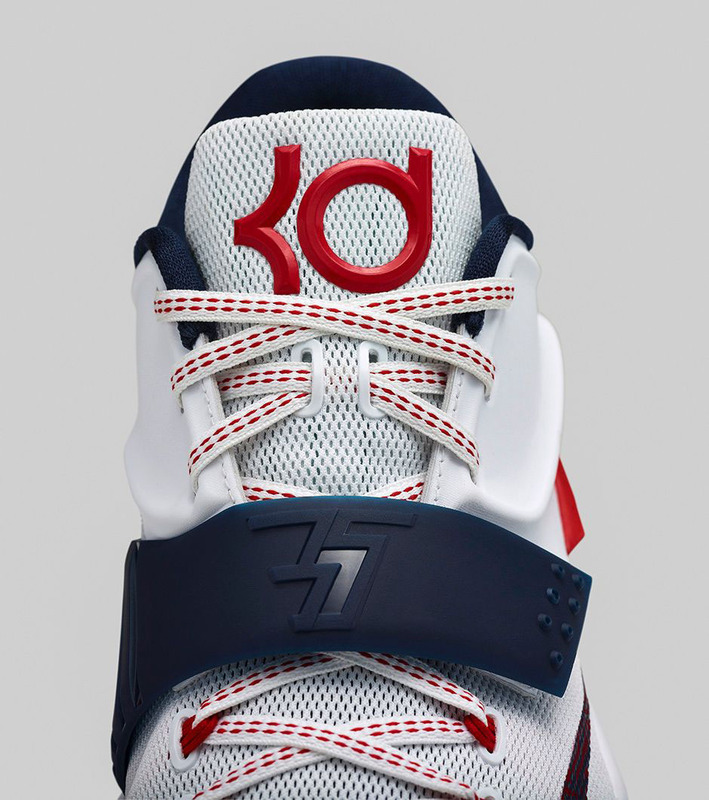 According to Nike, this patriotic look pulls from Durant’s love for Independence Day, with its fireworks, or “man made lightning.” Festive graphics adorn the tongue lining and Swoosh. 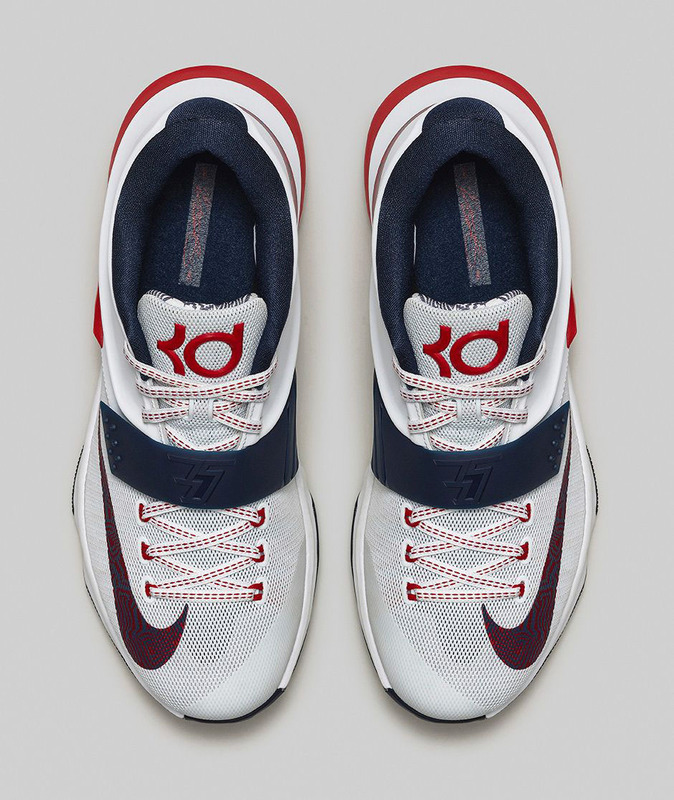 You can pick up the ‘July 4th’ KD 7 this Thursday, June 26 for $150 at nike.com and Nike Basketball retailers. 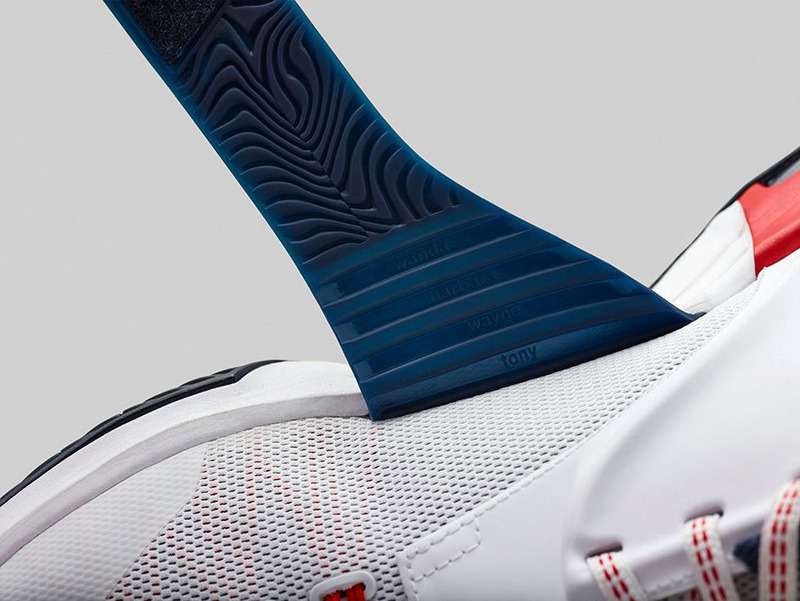 Sizes run down to toddler.